Teaching, diplomas, and teacher registration - how does it all work? You work sounds excellent an I'd be happy to look at it some time. There's always so much I can learn. 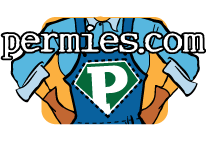 Just tidying up before I have finished my time with Permies.com......In horticulture and in Asian understanding a Mother Tree is one which gives hundreds of babies to the bioregion. There's a tree in the RedRiver Delta, I think it is a rambutan, but perhaps not, which has given the area an estimated one hundred babies. People who come from this area, see themselves as part of that tree's bioregion. And by the way, just a last thought. When Bill and David looked at traditional cultures they considered those which adapted and survived. Not just cultures which destroyed their regions. Some of these were: The Bishnoi, (I found the Konso), Australia native peoples, and so on. It is simply a matter of all traditional is good. I think from these they looked at survival without diminishing the environment and perhaps came to Care of the Earth( set conditions for Nature to thrive and continue), Care of People (so they can thrive and survive) and share surplus - which is what all traditional cultures which survive do. Sharing is a key to survival. That's it for now Matt. I think kids would love the camp. In Scout camps in the Cameroon and East Timor the girls and boys all do huge chunks of permaculture and permaculture thinking. I believe its very successful. It's right across the nations. By the way Matt: Look at the Blue Mountains Pemrauclture Institute website which we are just getting going with a story of an 800 year old forest in Bali. They still use it today. And are spreading it to nearby villages. It is quite a bit project report done for Quaker Service Australia. Glad you are still holding on there. About your photos. I don't see terracing as necessarily good. In Viet Nam , Timor and Malaysia I have seen forests completely destroyed to build terraces and grow grasses i.e. rice. I know rice is a major staple but its also a export crop. I am always sorry when I see it now because in my lifetime I remember the wonderful topical forest which walked over steep mountains like rivers flowing uphill - recognise the quote? And held water on land and released it slowly. Ive seen areas where terraces have collapse in Ethiopia because if the rain fails so do the crops. What's going to happen if those areas suffer droughts in climate change? People used the forests on mountains in famine times and to get more diverse diets. I see them as taking evolution and diversity backwards. I know in many cases the home garden would meet more needs. I remember Viet Nam government saying, "Eat less rice, and diversify your diets: to the people so they'd grow taller and have fewer tropical ulcers. I love the contour patterning it pleases my eye, and so do the Scottish highlands but ultimately permanence is reduced. Enjoy your posts and hope we can keep chatting. About the time Bill and David put together permaculture, waves of mass peoples education movements were sweeping the world. There was the literacy movement in Brazil, and some other South American counties. Viet Nam had anyone who was literate go and teach the children during the war - to ensure when it was over they could participate fully. I was part of an exciting literacy campaign in Lesotho where anyone with grade 4 could teach herdboys who brought a candle at night to a rondavel. It worked and threatened the rackets in South Africa....another story. There were barefoot doctor/nurse movements. It was an exciting time. The principles was "Each One Teach One: And also as diversity and biodiversity is a major principle of permaculture, having people simply teach it gave the diversity of styles we have today. I don't know that Bill was actually opposed to Universities because he'd probably never have had the input to become an ecologist without the University of Tasmania and David's input. It is simply another road to get to the top of the mountain....or perhaps many roads lead to the sea. I am convinced this diversity is critical or Permaculture will suffer from over-regulation. In Australia you can go through the TAFE - Technical and Further Education pathway. I know students who have followed it and found it very good. I am simply passionate about really open access to courses because intelligence and aptitude are not tied to University entrance. If we had it only in Universities what would happen to those people in the orphanages in Uganda, in the mountains of SW Ethiopia, the Afghanis Peace Youth, Camerouns and East Timor where there are thousands of farmers who have learned permaculture. (They are locked out of this discussion through lack of resources but they are very very good and their lives have changed). Also its still in some way a prototype....and will evolve I believe but I don't know which ways. As a teacher of Permaculture for nearly 30 years I find the totality of it elegant and beautiful. I am grateful for such good content. It is the design component and understanding of Patterns and Orders that gives it its edge. You need all the rest to apply these. I find only that the evidence grows for the permaculture content of the PDC and we play with it at our peril. But I add evidence. Look at the new principles we now have Eco-cities and for Zone III. I don't teach all the new material but it underpins what was there in the curriculum in the 1970s. Where people alter the curriculum there students are penalised by not having sufficient basics to become competent. Dave about the topics....there are about 40 you can teach if you split water into Rural and Urban domestic for example. So you are right. How can a College put a course together unless many teachers have PDCs, or they have a team of PDC teachers. 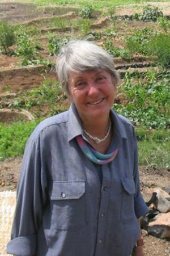 Sydney university had a Semester or Term in its Organic agriculture as a basis for farm designs and it is taught by PDC graduates so the systems approach to integrate units works. And Graham....you are right about disdain, I'd call it impatience. I am so grateful for the opportunity to go to University and to be able to take the time and luxury to learn. But..... I no longer want to go to a formal institution and do assignments where teachers know the answers. I like relevant information which challenges me. However other learning types do enjoy formal courses. We there is the provision for diverse learners. Ive met too many brilliant people in developing countries who run rings around me....and often their Universities are modelled on the west. Cassie I am not sure that University where Bill and Geoff taught offered a Degree or Diploma in Permaculture I think it was simply they were sponsored of used the venue. Check it out in case Im wrong. It happens fairly often. And Leila, no one else caught the wave and although I have reservations etc about bits and pieces Leila, it isn't just a rehash of traditional methods. Nothing else has arisen in the last four decades which even approaches it in scope and application to so many regions of the world. Ive looked at every scheme because Im not a permaculture fundamentalist. But the more I work with it, the more I see how much deep and complex it is. Im not concerned about what universities do. I am passionate about the Right to Accurate and Relevent and Useful information of everyone especially those for whom these are difficult. This is what permaculture represents to me. Hey, this is a big topic and has got me going. Bring the teaching to people, or give it to people coming to you? Hello Greg and Angela It was like seeing a friend to see your name and to get your update. I remember you and your teaching very clearly and with great pleasure. Hey, I recognise courses where people come for food and for some it is the FIRST holiday they have had in their lives. We always had courses of about 3-4 days and the first day was dedicated to sleeping and eating. We put on meals, we offered quiet, shady places to sleep then late in the first day we went through problem and expectations. This was utterly necessary or people were too tired. I have always found people loved learning. However I'd ask considerable student participation and set a series of questions in my head - the NO 1 teaching technique - to establish what everyone knows. They are all interested in what their peers experiences are. Then I set the topics and build in as much practical as possible. No, not composting but Sector Analysis, outside doing water audits, soil sampling in jars, recording home gardens and what works and what doesn't. And asking about and learning design principles so they can think for many different situations. Greg, you and Angela could do this well. Ive had very bad experiences with developing sites, which I now partly see as NGO staff wanting to do it themselves. I know local people say "they have money", "they have time and tools" they do it their way. Then when foreigners leave it is taken over by the big drum, or the Party, or gets subverted. One beautiful model site was turned into a brothel! Permaculture spread so fast when I invited District officials to attend a course and design their own land and then they had to teach villagers from their own personal site. When local people design and implement their own site - they are the teachers on model sites and you get fabulous feed back about income and new ideas. And of a course of about 20 people you have 20 newly design models. People are proud of them, and for our pride, actually they have more credibility than any foreigner. No one has every been forced to learn in any course I have offered. If you and Angela plan to live their all your lives and become part of the village then go for it. Some wonderful Portuguese did this in East Timor. A tiny bamboo house and garden in town and always outside talking to people about what they were doing and inviting people in but remember illiterate villagers are capable of learning the same good permaculture content as any highly schooled westerner, only the methods are different. I don't water down courses even if half the class is illiterate. Please let me know how you go and you are a great time and good teachers so love and enjoy the privilege of being a premie teacher. Hello Burra Maluca: From the very first PDC, Bill Mollison said and he hasn't changed that I know of, anyone who finishes a PDC and feels confident to teach needs to go and teach. He said "You will still know more than your students". Not in every topic of course but then you have in-class teachers who are specialised students who attend.. The Diploma in Permaculture Design was originally awarded in six areas/disciplines after two years of work. So for the Education discipline, an applicant must do two years of teaching. No one has stated how much or how little that needs be. And I would make the claim that minimally teaching or co-teaching four PDCs would be necessary to ensure competence and ethics. So now what has happened. Some of the Membership Institutes have set down pathways to a PDC. I am not sure about this but I heard that one requests 12 permaculture designs and I cannot see how this makes competence in teachers but it will give experience for those wanting to be Designers and Consultants especially if they have experience in implementation which is not usually included in a PDC - hence the growing number of bootcamps. As for starting immediately, reputations are made by two types of teaching - either inspirational or competence based. You can think of the teachers you know who offer these. In my experience, students from inspirational teachers have some big gaps in their knowledge eg. haven't heard of or can't do a sector analysis, or water audit etc. But good students learn these afterwards when they are keen. One student, Tamara, from my Teaching course returned home and put a sign on her gate: Free Permaculture Design Course starts here Monday for the next 12 Mondays. Then she started a free Tuesday class. Now people simply pay her. Go to the highways and byways? The Teaching course I offer (and I am not touting for students) students how to teach in the mornings and then you prepare work from the PDC and teach in the afternoon. You write your ethics, course outcomes, students responses, Language which works and Languar Which doesn't and at the end your present a PDC outline with your group. Most students finishing these course go and teach. Some find they don't want it. It is better than the PDC for turning out teachers because the practice, and revision builds confidence and skills. So in Portugal, not wanting to import overseas/foreign teachers they feel they need to short-cut the process or that was the conversation when I was there. Barcelona has a mentoring program. I value this diversity of options because otherwise we will choke in bureaucracy. And we want to be able to evolve for different situations as the future is unseeable. But it means sometimes teachers are unethical. For example offer courses less than 12 days, do mud-building etc, not make mandatory attendance at the course. Some of us know these people and we would not accept their PDC students as qualified. So the community of teachers is tending to regulate and recommend. So if you wanted to work towards a diploma, I suggest that you shop around and ask people as well. UK has a good model. Scandinavian countries use peer review which the Blue Mountains Permaculture Institute offers. This is a Meritocracy. We off them to people whose work is outstanding and we are preparing some right now to put on the web and if you think the standard is poor. Then tell us. We want to be simple and accountable and ethical and high quality. So if you think, and the choice is yours, you need a Diploma to teach then I would recommend an organisation setting up a highly condensed mix of boot camp and deeper theory for PDC holders and then give them a Diploma. Now, if you accept money for these trainees and 12 weeks would be minimum with one topic a week in depth, then you must have a curriculum or in Australia, you can be taken to the Department of Fair Trading and go to court. You can't just take the money and get people to work as Woofers and they say they can have a Diploma. It's an ethical situation. You would need to tell students what they would learn, have a timetable and set up outcomes and ensure the balance of theory and practical is integrated. Also have a look at Matt's website recommendation. I haven't looked at it yet but do your research. Please ask again where Im not clear but its a big topic. Are you teaching? What is your approach and what joys and sorrows do you have. Are you teaching now? It'd be good to hear if you are and what your experience is. You can structure these responses through games. And I need to plan them carefully. Mostly I use a variety of methods of cater for all types of learners and change these, I hope seamlessly, through a lesson and a day.